Route A2 is the longest and probably the most important cycle route in Prague. It runs along the right bank of the Vltava river from south to north. The length of the route is 31 km. 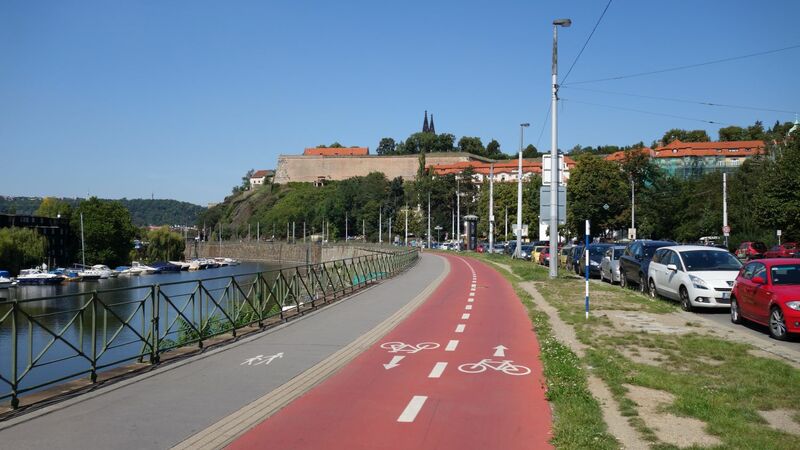 With the exception of the city center, it runs along separate bicycle paths. In the city center (from Mánes to Staroměstská) leads on roads with a high traffic.